What Are Your Favorite Sources Of Trading Information? It's sad to see how social media has become such an antisocial outlet. Whether the topics are personal or political, we typically encounter more heat than light. One of my New Year's resolutions is to use the TraderFeed blog to consistently highlight the best online sources of trading information. There are many excellent sites, blogs, podcasts, videos, and tweets out there, but it's easy for them to get lost amidst the noise. Each day, I will retweet one or two excellent insights. You'll find those on my Twitter stream. Each week, I will devote a TraderFeed post to a worthwhile site or blog, crafting the post to highlight particularly valuable information. In addition, on a monthly basis, I will use my Forbes postings to highlight major contributors to the trading world. Do you have a favorite source of trading information? If so, please feel free to email me at the address in the graphic above and send me the URL and just a brief indication of what you find particularly helpful. I will then include those sources in my daily and weekly acknowledgements. 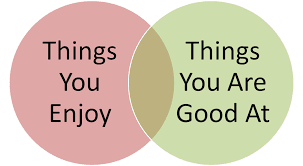 We can all become better in the new year by curating online information and focusing on the best of what's out there. Feeding our head is one of the best ways we can feed our trading performance. "I took too many trades this past year and didn't make the most of my best ideas. I need to limit my number of trades in 2018 and size up my best ones." That's great as a goal. The question remains: How are you going to make these changes? There is much more to changing behavior patterns than simply stating goals. Goal setting is only one step in the change process. Creating a plan for making the change comes next. Where traders fall short in planning is that they view their poor trading as *the* problem, when it almost always is the result of an actual problem. If the trader is taking too many trades, the question becomes: What triggers this pattern of overtrading? It's the triggers that are the actual problems. 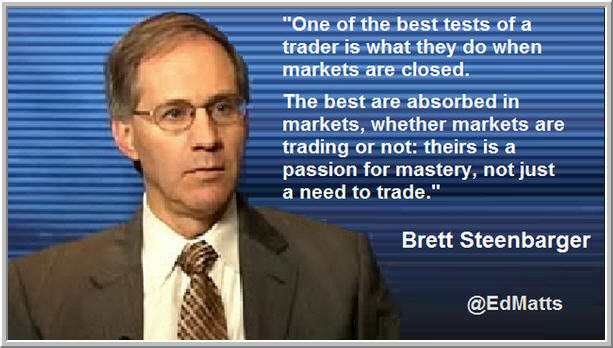 Here's another crucial insight: Your best trading occurs in a distinctive state of mind and body. Trading well is state-dependent. 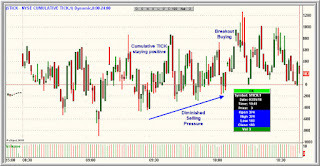 Triggers sabotage trading by nudging us out of our ideal states for processing market information. When we become frustrated or bored or distracted, we enter a different cognitive, emotional, and physical state. In that new state, we often process information reactively, impulsively. This is true whether we're in a heated marital argument, driving in heavy traffic, bored in a slow market, or feeling the pressure of performance on the final hole of a golf tournament. The situation triggers a state-shift and that colors what we do and how we do it. So back to our trader who wishes to overcome overtrading. Good intentions and efforts at "discipline" won't cut it. What is needed is a careful analysis of the situations that are triggering the overtrading, so that these can be anticipated and intercepted. If I know that a losing trade to start the day can trigger fear and negativity and prevent me from properly acting on subsequent opportunity, then I can develop a routine for constructive self-talk after any early loss. In other words, we first become good at identifying our triggers and then we progress by pausing from what we're doing to reset our mindframe and return to the state in which we do our best trading. Your edge in markets is never *just* your ideas and research. Your edge is also your ability to clearly see those ideas play out and act upon them in the right way. The right state of mind might not be sufficient for winning in markets, but it is necessary. Our triggers distract us from our best ideas and taking advantage of these. 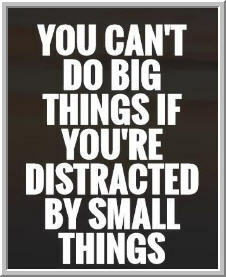 Truly, we cannot accomplish big things if we're distracted by little things. When we fear our triggers more than we fear missing market movement, we've taken a huge step toward gaining self-control and consistency in our trading. There are skills we can learn to intercept triggers and state shifts and rapidly bring ourselves back to our trading equilibrium. Developing those skills is one of the most powerful plans we can create for supercharging performance in the new year. Below are posts that will be helpful for those encountering problems with trading psychology and looking for potential solutions. If you don't see your particular challenge listed below, try Googling "TraderFeed" and a keyword for your issue. That should yield several posts. Alternatively, check out the pages for top trading psychology posts; the curated Forbes postings; and the page for the trading books and their topics. This was my first book on trading psychology and illustrates how the problems impacting traders are variations of problems all of us face in our lives. That means that tools and techniques that work for our personal development can facilitate our development as traders. The Psychology of Trading introduces the idea of solution-focused work, which involves identifying hidden strengths and building upon those. The book also introduced the notion of state-shifts--changes in our states of consciousness--as essential to changing our mind frames and our trading. Among the topics addressed are intuition/implicit learning; making the most of crisis; changing repetitive patterns; and the use of dreams and hypnosis in self-discovery. This book was written to explain how successful traders make the transition from being newbies to becoming elite market performers. Key topics include moving from being a beginner to becoming a competent trader; ways in which competent performers become experts; the role of deliberate practice in trader development; cognitive and behavioral techniques for enhancing performance, the role of trading journals in developing performance, and strategies for skill development. A major thesis of the book is that structuring your learning processes the right way can greatly increase the odds of your trading success. By the time I was ready to write my third book for traders, I had considerable experience on a medical school faculty teaching psychology and psychiatry trainees how to conduct brief approaches to therapy. That teaching--and the books that followed from it--led me to realize that much of what passed for "coaching" in the trading world was not consistent with up-to-date practice in the field. The Daily Trading Coach takes evidence-based approaches to short-term change and makes them usable on a self-help basis. The book is written as 101 lessons that cover everything from cognitive, behavioral, solution-focused, and psychodynamic techniques for change to methods for enhancing well-being. A section also tackles ways in which we can coach our own trading businesses and develop our edges in markets. My most recent book in trading psychology was the result of the recognition that traditional approaches to trading psychology and coaching simply were not working. In this reworking of the field, I drew upon research in positive psychology to show how traders could more effectively adapt to changing markets; build on their strengths; cultivate creativity and the generation of sound trading ideas; and develop best practices that anchor robust trading processes. A major focus of the book is the idea that distinctive trading success comes from distinctive cognitive and personality strengths. By understanding and leveraging those strengths, we can maximize the odds of our success in markets. This is *not* a book specific to trading psychology, but rather is the third volume of a textbook I co-edited about effective short-term techniques for change and how to employ those. If you have an interest in being a coach or counselor, this book is an excellent reference volume, with chapters written by top experts in their fields. My own chapter describes solution-focused brief therapy, which is the set of methods that I have found most helpful for traders. In solution-focused work, we look for exceptions to problem patterns and the strengths that underlie those. In identifying and building upon our strengths, we can often accomplish more than by remaining problem-focused. Below are top trading psychology posts from TraderFeed during 2015. If you're looking for posts on trading methods, check out the Trading Techniques Page. Other posts on trading psychology can be found on the page for early posts, as well as the pages for 2016 and 2017. If you can't find information on your topic in the posts, try Googling "TraderFeed" and the name of your topic. That will usually result in pulling up a few of the nearly 5000 posts on the blog. For greater depth on a given topic, you might check out the curated Forbes posts and the trading psychology books page. While I cannot provide online coaching to individual traders, I welcome questions about the posts at the email address that appears on the bio page. Below are early top trading psychology posts from several sites. For more recent trading psychology posts, please go to the pages for 2015, 2016, and 2017. If you are interested in posts dealing with psychological issues impacting trader psychology, please check out that home page. For greater depth of coverage of trading psychology topics, please check out the home page for the trading books and the page of curated Forbes posts. For top postings on trading techniques, this page will be helpful. If you don't see a topic of interest in the sources below, try Googling "TraderFeed" and the topic you're interested in. Usually a few relevant links will come up! While I am not able to offer online coaching for individual traders, I can be reached for questions about the posts at the above email address. See also my bio and contact info page. Good place to start: Links to a Series of Posts on Core Themes in TraderFeed can be found here. 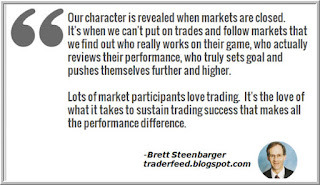 Earliest posts on trading performance can be found here. 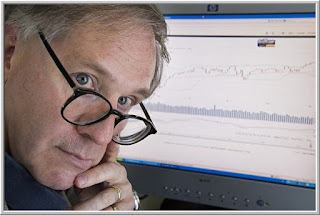 Earliest trading psychology articles can be found here. A wealth of pre-2010 posts on trading techniques and trading psychology can be found here. 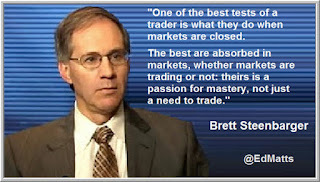 Best of trading psychology posts from early 2010 can be found here. Best of trading psychology posts from later 2010 can be found here. What Proportion of Day Traders Actually Makes Money? Brett is Clinical Professor of Psychiatry and Behavioral Sciences at SUNY Upstate Medical University in Syracuse, NY and a trading coach to financial firms, including hedge funds, investment banks, proprietary trading firms, and asset managers. He graduated from Duke University in 1976 and received his Ph.D. in Clinical Psychology from the University of Kansas in 1982. After years of student counseling experience at Cornell University in Ithaca, NY and Upstate Medical University in Syracuse, Brett found that the evidence-based brief therapy methods used for helping high performing students significantly benefited traders in financial markets. This led to the first of his four books in trading psychology, the TraderFeed blog, and a full-time career working at such settings as Kingstree Trading in Chicago and Tudor Investment Corp. in Greenwich, CT.
Brett has also co-edited three editions of a textbook on research-supported approaches to brief therapy and written over 50 peer reviewed academic papers and book chapters in the field. For the past three years, he has also written columns on performance psychology for Forbes online. Brett's coaching work is with trading organizations only, not individual traders, but he can be reached for questions at STEENBAB AT AOL DOT COM. Brett is also active on Twitter and Stock Twits (@steenbab). Brett's most recent project is a book on life coaching that integrates evidence-based psychology and traditional spiritual and religious concepts and practices. He lives in New Canaan, CT with Margie, wife and soulmate for 34 years, and three loving rescue cats. They enjoy travel, especially to spend noisy and fun time with their five children and six grandchildren. Below are top trading psychology posts for the 2016 year. Other posts can be found on the pages for 2006-2014; 2015; and 2017. For posts specific to common trading problems, check out the posts dealing with trading psychology challenges. If you're looking for a more in-depth treatment of the topics, you'll find resources on the page for trading books; the curated Forbes posts; and the page for trading methods. Although I cannot provide coaching to individual traders (my work is limited to trading and investment organizations), I'm happy to answer questions about the posts via the email address that appears on the bio page. * A Quiz: Are You Operating in Peak Performance Mode? 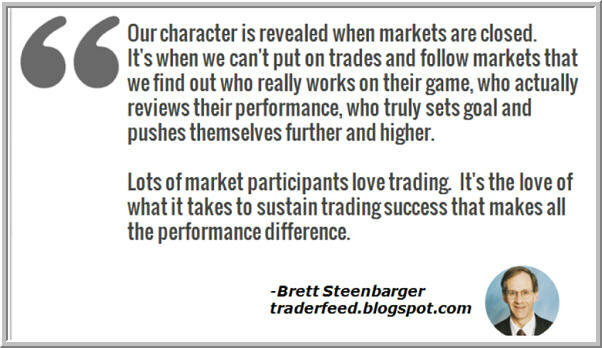 * Two Modes of Trading: What Kind of Trader are You? Below are top trading psychology posts for 2017. Other trading psychology posts can be found on the pages for 2006-2014, 2015, and 2016. 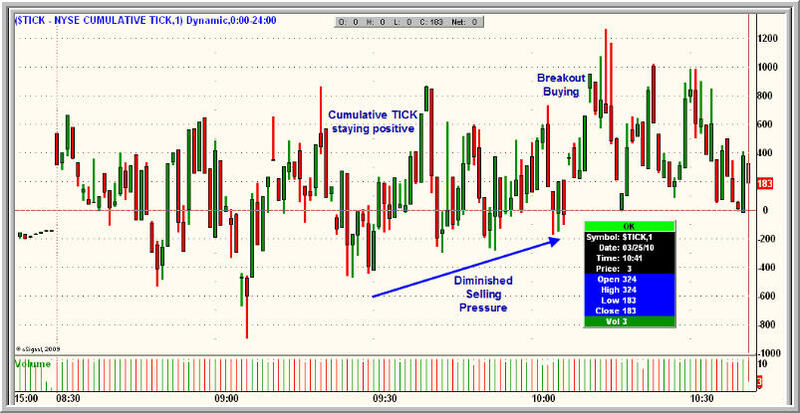 Posts specific to common trading psychology problems can be found on this page; posts on unique trading techniques are available here. If you have trouble finding posts on the topic of your interest, a good first step is to Google "TraderFeed" and the topic. That usually brings up several posts. If you would like to go into greater depth in your topic, the trading book page will help you figure out which text might be most relevant. See also the curated Forbes posts. My coaching practice is limited to trading and investment firms, so I am not able to offer coaching advice or services to individual traders. I'm happy, however, to answer questions about the TraderFeed material, so feel free to contact me at the address on the bio/contact page. * Is Trading Truly Your Path? I've been writing columns for Forbes Online since 2015, with a broad focus on performance psychology. These articles go into greater depth into topics than the usual TraderFeed posts and so may be of interest to traders and investors looking to make improvements in themselves and/or their trading. Many of the articles touch upon topics relevant to positive psychology: methods for maximizing our happiness, fulfillment, and success. Links to TraderFeed posts specific to trading performance can be found on the home page. For even more in-depth coverage of performance topics, please consult the trading psychology books page. * Assessing Your Positives: Are You Flourishing? During most of the writing of the TraderFeed blog, I was also engaged in my own trading and found several tools and techniques to be useful. Below are links to posts I wrote about these methods. If you're interested in trading psychology posts, you'll see relevant links on the home page. Posts on performance psychology can be found on the Forbes page. If you can't find the topic you're looking for, you might try Googling "TraderFeed" and the topic. That will often pull up a few posts, which then link to related posts.